Where is the Butter in the Butternut Squash? Butternut squash doesn’t mean that it is as fattening as butter! With this recipe, you will get a real satisfying meal without any compromise in taste. I love butternut squash! Everything about it is just so wonderful. The colour it gives, the way it smells and how versatile it is. You can use it for soup, stew or just as a plain roasted vegetable. Butternut squash is one of the reasons I look forward to Fall because that’s when they are in season. I’ve chosen this recipe to kick off the Fall season. 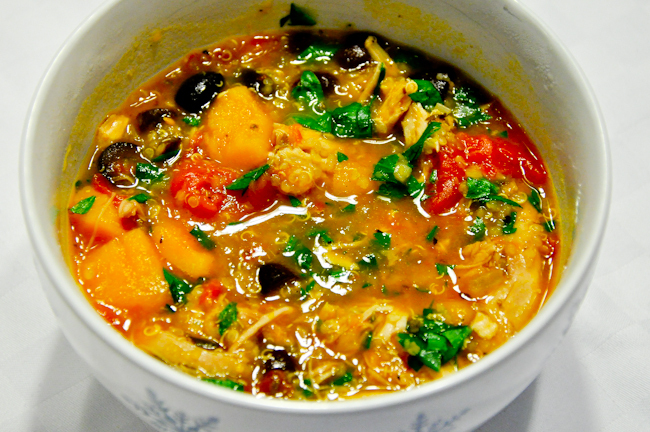 Not only does this stew look and smell great, the flavour and texture are just fantastic! If you don’t have leftover turkey, you can replace it with any leftover chicken or any precooked chicken breast or thigh. Peeling and cutting butternut squash could be tricky if you’ve never worked with one before. I would suggest preparing it in advance to avoid any delays at dinner time.